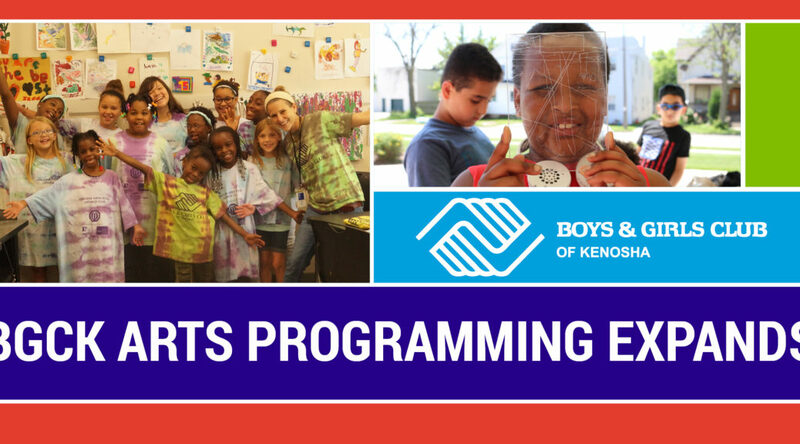 Kenosha, WI – September 19, 2018 – Due to the growth of the Natalie Lee and Shirley Madrigrano Arts Foundation, arts programming at the Boys & Girls Club of Kenosha has expanded. In addition to the funding, another key pillar to the success of the program is of course, the staff. Julia Schiller began as the Youth Center Art Teacher in February of 2018 and has taken the art room, and the projects that come out of it, to a whole new level. Within the last six months kids have tie-dyed shirts, made homemade paper, worked on a mosaic desk, made a robot, created Jackson Pollock style artwork, learned about contemporary artists and so much more. Schiller is a member of Kenosha Creative Space and often utilizes her connections to benefit the kids and bring unique art opportunities to the Club. This summer, members created drypoint prints thanks to artists from the Center for Collaborative Research who brought their Press on Wheels and all of the necessary equipment to the Club. Long before she was a Club employee, Schiller conducted a fundraiser for the BGCK art room when she was just thirteen. “I asked people to bring art supplies to my Bat Mitzvah and donated it all to the Club’s art room,” said Schiller. That year, she was nominated for the Mayor’s Youth Commission. In order to build on the momentum of the arts programming and continue to offer unique experiences to Club members, the Madrigrano family has agreed to match up to $100,000 of contributions that are made to the Natalie Lee and Shirley Madrigrano Arts Foundation through the end of 2018. Contributions should be mailed or dropped off at the Boys & Girls Club of Kenosha (1330 52nd St., Kenosha WI 53140), and specify “Arts Fund” in the memo.